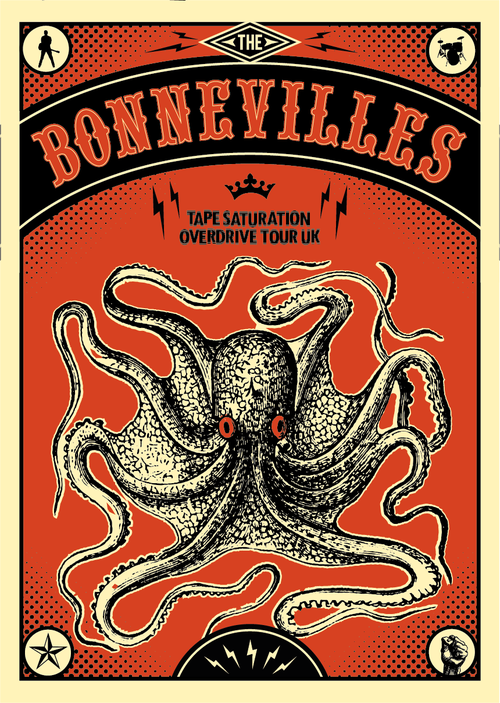 I had to make an unexpected trip back to the UK last week and while I was there, I stopped by Banbury’s newly resurrected independent record store, Record Savings, with a couple of friends to see a band I’d never heard of – The Bonnevilles. They’re a “Garage Punk Blues” duo from Northern Ireland. I have a bit of a soft spot for the blues, and it only took a couple of songs for them to sell me on their particular brand. I ended up picking up both their albums on CD, thus providing me with new music to listen to repeatedly until it becomes the soundtrack to everything I do and allowing me to do my part to support small business and cool music at the same time. 10,000 is from their latest album, Folk Art & The Death of Electric Jesus but Good Suits and Fighting Boots is excellent as well.